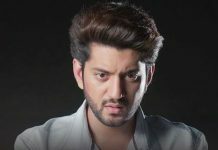 Silsila: Mauli to witness Kunal-Nandini’s togetherness… Kunal stops Nandini from leaving the city. He gets her back to her home. He keeps her bags back in the room. She gets busy in cleaning some crockery to end their awkwardness. Kunal watches her and calls her out. He tells her that he can’t live without her. Kunal expresses his feelings for Nandini. He opens arms for Nandini. He pacifies her. Nandini hugs Kunal and gets drawn to him. They feel complete in each other’s company. Kunal tells her that their emotions aren’t wrong. He serves her breakfast. He makes tea for her. She gets delighted by Kunal’s love confession. Their hearts and ways meet. She accepts his love. They vow to support each other. They don’t think for Mauli for a while. Kunal welcomes Nandini in his life. She also forgets her fears and decides not to make Kunal away. Nandini makes kheer for her. They share a moment. He cheers her up. He asks her not to think again of going away from him. Mauli worries when Kunal and her photo frame falls down and breaks. She wonders why are hurdles coming in her way. She promises to fulfill Kunal’s dreams. Mauli pays a surprise visit to Nandini. She happens to see Kunal with Nandini. She finds them close, but doesn’t get much hint. Kunal tells Mauli about Nandini’s departure and how he has got Nandini back. Mauli thanks him for stopping Nandini. She doesn’t want Nandini to go. She tells them that she was really feeling restless and sorrowful and didn’t understand what’s happening, so she has come to meet Nandini to lighten her heart. Kunal and Nandini feel guilty, and realize that Mauli is upset because of them. Mauli ignores their closeness and asks Nandini to serve her kheer. Mauli praises Nandini’s culinary skills. She thinks Nandini has prepared the kheer for her. She says just this kheer can cheer me up, I knew I will get happiness if I visit you, how do you always know my feelings. She shows her belief in her friend. Mauli doesn’t think anything wrong and misses all such hints. She trusts Kunal a lot. She can’t imagine Kunal with anyone else. Mauli will soon know about Kunal and Nandini’s relationship.